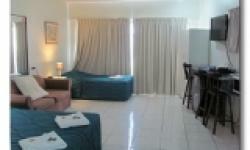 Tweed Central Motel in Tweed Heads, New South Wales, Australia close to the beach, amenities, attractions, clubs and restaurants for great entertainment with ocean views. Room choices include four styles of comfortable and tastefully renovated furnished Suites and they can accommodate families. There's a saltwater swimming pool and BBQ facilities as well as off street secure parking and a shared laundry. 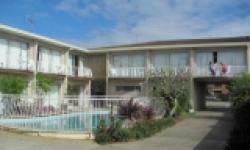 All units at the Tweed Central Motel are air conditioned, and they come with flat screen TV's a microwave, bar fridge, toaster, kettle, crockery, cutlery and a renovated bathroom. Come for a fabulous stay near shops and a variety of great venues for your enjoyment, and all top level Suites boast balconies, plus they are an easy drive to the Gold Coast theme parks, it doesn't get any better.